JOESAM. was born and raised in Harlem. He earned a doctorate in education and psychology from the University of Massachusetts at Amherst, taught at Columbia University, and was director of the Head Start Program in San Francisco for over ten years. He gradually began to commit himself full time to art. His colorful work seeks to celebrate the warmth, fun and joy of children. 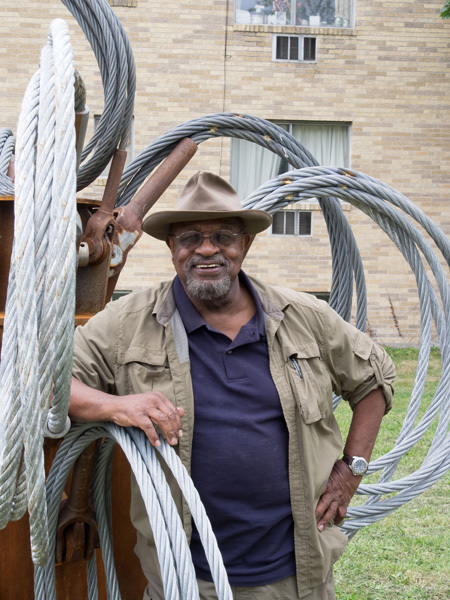 He has completed a number of sculptures for facilities across the country including a public health center near Seattle, a senior citizens library in Florida, and an office complex in Santa Monica, CA.